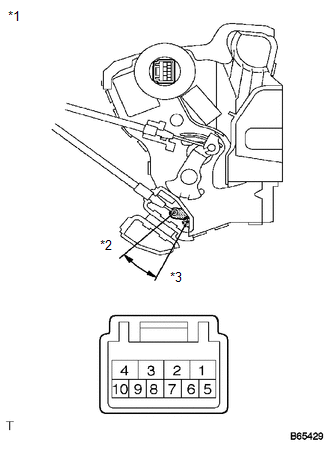 The main body ECU (driver side junction block assembly) detects the condition of the door unlock detection switch. 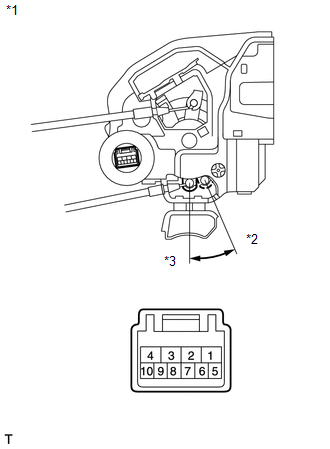 (a) Remove the front door lock assembly LH (See page ). (a) Disconnect the I7 front door lock assembly LH connector. (b) Disconnect D50 main body ECU (driver side junction block assembly) connector. 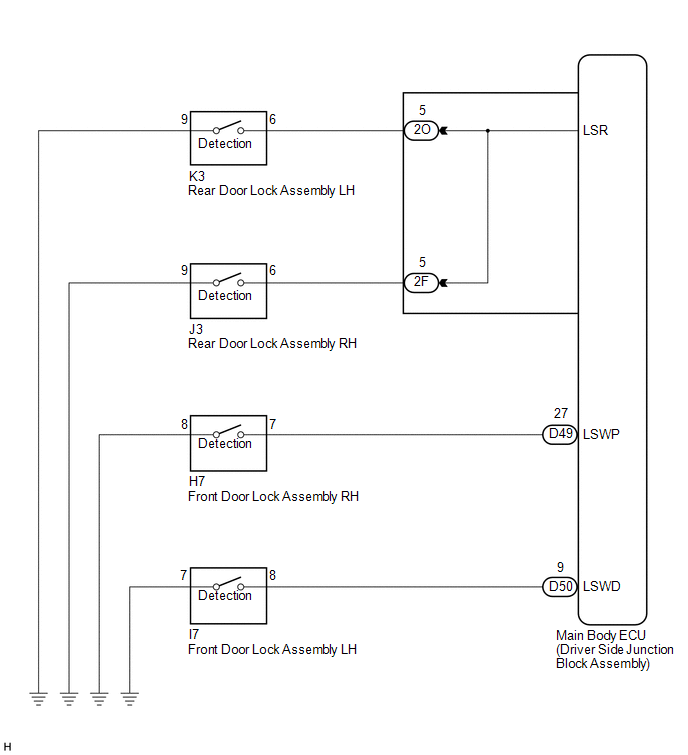 (a) Remove the front door lock assembly RH (See page ). (a) Disconnect the H7 front door lock assembly RH connector. (b) Disconnect the D49 main body ECU (driver side junction block assembly) connector. 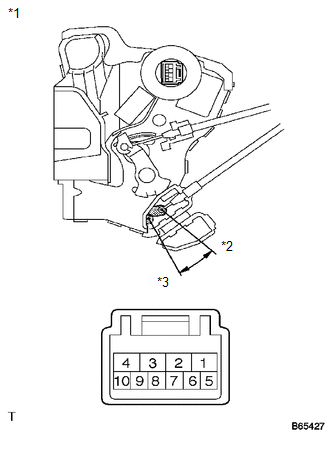 (a) Remove the rear door lock assembly LH (See page ). 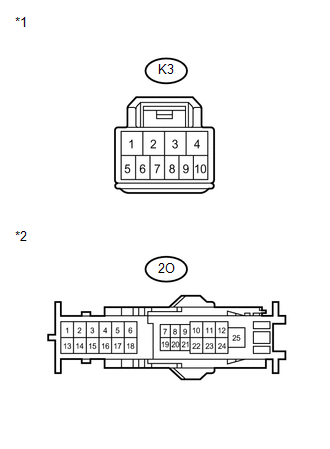 (a) Disconnect the K3 rear door lock assembly LH connector. (b) Disconnect the 2O main body ECU (driver side junction block assembly) connector. 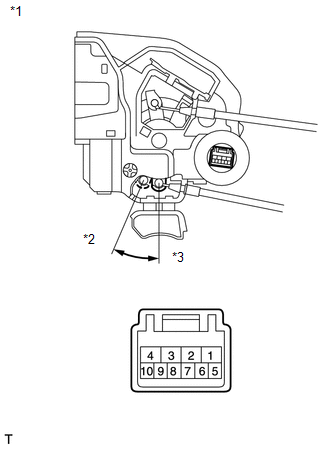 (a) Remove the rear door lock assembly RH (See page ). 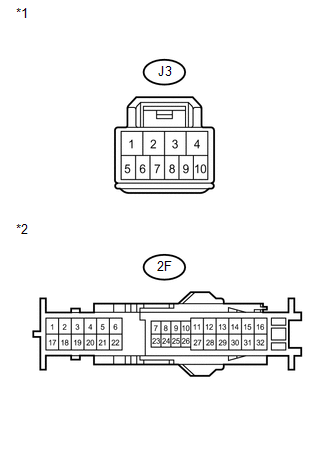 (a) Disconnect the J3 rear door lock assembly RH connector. (b) Disconnect the 2F main body ECU (driver side junction block assembly) connector.